I recently wrote an article giving advice to vendors of property who are left abandoned by their agents to show complete strangers around their homes. It seemed to be well received, but got me thinking about offering some simple advice to my fellow agents. After all, we all hear stories about what people claim estate agents get up to while accompanying viewings or, worse, while they’re alone in a client’s home. I would love to be able to believe that most of these stories have been made up for the benefit of the press and stand-up comedians, who see estate agents as an easy target for their jibes. Sadly, though, it’s clear that not all of them have been imagined. There was a well-publicised case recently of a letting agent, appropriately (actually, if I’m honest, totally inappropriately) dressed in a Cadbury-purple suit, who was secretly filmed lifting and pocketing a bar of chocolate from his client’s home while conducting an accompanied viewing. The fallout included him losing his job, I understand, and a possible investigation by the local constabulary. 1. Firstly, do as I say and not as I do… BE ON TIME!! I am possibly the World’s worst timekeeper and have often joked with people that I should wear a “Sorry I’m late” badge or have the same legend tattooed across my forehead, as I consistently arrive two minutes late for, well, everything. I tend to take that last phone call before I leave the office, or try to pack more into my day than there are hours available. And I know, from experience, that starting a viewing by rushing up to the property, late and out of breath, does not set a very good agenda. Stern faces and glances at their wristwatch or, worse, finding the viewers making a “where is he?” call to the office as you arrive, is not a great way to start the pitch. Fortunately, I only ever encounter people who are generous enough to accept my humble, heart-felt apologies and forgive my tardiness quickly. You might not be so lucky. 2. CHOOSE THE RIGHT FOOTWEAR! Be prepared to take your shoes off as you enter the property. And don’t be shy about asking your viewers to do the same. Please note that other brands of socks are also available! In some instances it is an automatically assumed custom that visitors will remove their shoes; in all instances it is, at least, polite. Remember: you have probably spent the day traipsing through other people’s gardens, over driveways, across gravelly roads … it’s not fair on your clients, who may have spent hours getting their home ready for viewings, nor to the eventual buyers/renters of the property, if the carpets get ruined. I would always make that latter point in the event of a viewer being quizzical about the need to remove their shoes. So make sure you wear socks or tights that will not embarrass you when they are exposed to public gaze. If necessary, buy some more. 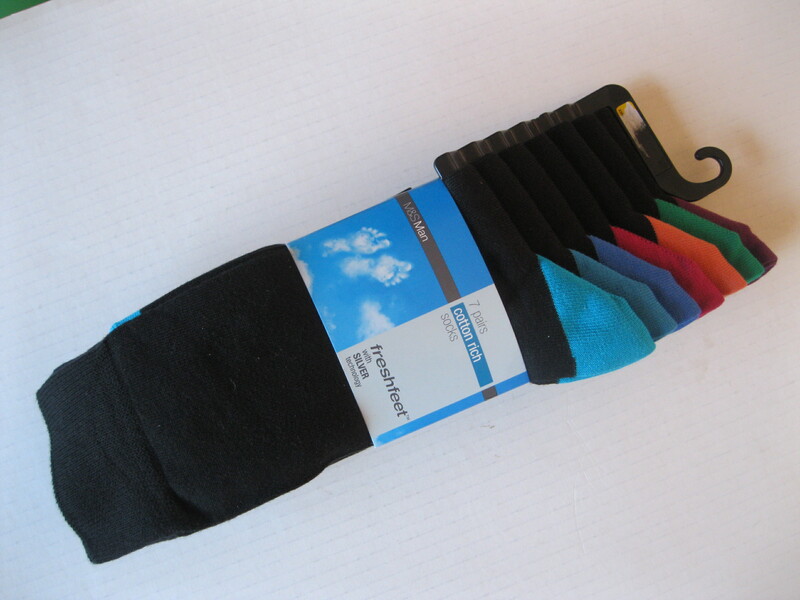 Alternatively, get some overshoes (you know the sort of thing: blue – why are they always blue? – elasticated slippers that you can put over your shoes … hence the name!). Although, to be honest, this can become a bit of a palaver if you have a whole family to show around. Clearly, you will sometimes visit properties that are, frankly, more dirty on the inside than the outside world is. In these cases, I would suggest you leave your shoes on. But, obviously, make the viewers take theirs off – show them who’s boss … NO ,NO! DON’T DO THAT – I’M JOKING! (b) KNOW WHAT YOU’RE TALKING ABOUT! Potential buyers and tenants have a right to some answers from you. You should have a basic grasp of the principal features of the property. What type of central heating does it have? Where’s the nearest school? Is there any scope for extension? Is it mains drainage or a septic tank? Having said that, some people will ask questions that I think it is fair to say you should not beat yourself up over too much for not knowing the answers to. Exactly how deep is the loft insulation? When was the fence last creosoted? Do any of the neighbours own a cat? If you’re not sure, DON’T MAKE IT UP! Make a note of it and promise to find out the answer as soon as you can. Then do exactly that and ring your answer through – if nothing else it’ll give you a great excuse for a viewing follow-up call! 4. BE CAREFUL! Read my blog http://www.haighandsons.co.uk/blog/?p=122 aimed at private sellers for some handy tips on how to keep safe. 5. Finally, for now… SMILE! YOU MIGHT WELL BE ON TV! Every time you visit a property, whether you’re on your own, meeting the owners or conducting an accompanied viewing, tell yourself that there is a hidden TV camera in every angle of every room. You DO NOT want to be the star of that programme. If you tell yourself, every time, that you may have walked into a trap, you will always act impeccably, will never be guilty of anything that might attract attention for all the wrong reasons. You will also become much more aware of what you’re saying, how you’re acting, the quality of your answers … in other words you will quickly become your own judge. For those solitary moments, I find it helpful to have a game to play on my phone in the event of a no-show or a viewer being late, for example. Especially when it’s raining and I don’t want to stand around outside. With nothing else to do, other than stare out of the window, I must make very boring TV for anyone who has secretly filmed me. “He’s just standing there, playing some game on his phone. Scrap this footage, it’s of no use whatsoever. Now… this looks more hopeful … a guy in a bright purple suit…”.